Eclectic fare, phenomenal taste and a cosy seating; Goyaa is South Mumbai’s latest addition helmed by Siddharth Somaiya and Mariki Sayles, two stars who started their journey in the Michelin-driven madness which ended in a happy place once they came down to India to set this up. Spacious seating with some tables perched on a half-floor, a little above the rest giving this place an architectural dynamism that instantly breaks the monotony. All done up in hues of grey using wood and stone, Goyaa is a warehouse converted into a fine-diner. They serve their food in small-shareable plates with assertive Asian nuances. 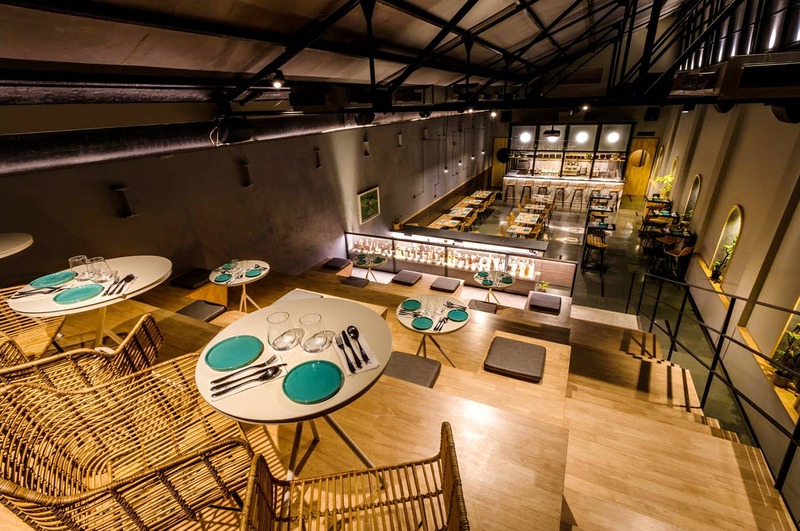 The concise food format makes the eating experience at Goyaa more casual and social. If you’re headed here, expect meat from around the world, and bread, sauces and tofu crafted from scratch. The signature dishes? Siddharth's signature Baos, Green-Lipped Mussels, Sweet & Sour Eggplant and lots more. The woman behind the liquids here is Mariki who has whipped original signature cocktails such as Shango Sling, Temple of the Jaguar, Tombstone Bullets and No Sugar Tonight. Besides a fully equipped bar, they also have bitters, vermouth and tinctures, all made in-house. Goyaa’s cocktails are highly potent, likely to knock you out easily. We highly recommend not missing out on their interesting collection when you’re here.